High performance upstream O&G flow rate and fraction measurement for installation on the outside of process piping. XSENS XACT flow meter is easily installed at the outside of standard process piping, providing high accuracy flow rate of pure liquids, as well as fraction measurement of complex liquid mixtures. Multiple independent transducers and “off-centre” measurement allows for flow regime compensation similar to in-line multi-path flow meters. Cost efficient, accurate and reliable flow rate and fluid quality measurement, – measured from outside of the pipe. XSENS XRATE flow meter offers accurate and cost-efficient flow meter performance, – all mounted on the outside of standard process piping. XSENS XRATE provide the majority of XSENS XACT features in a robust and cost-efficient design. 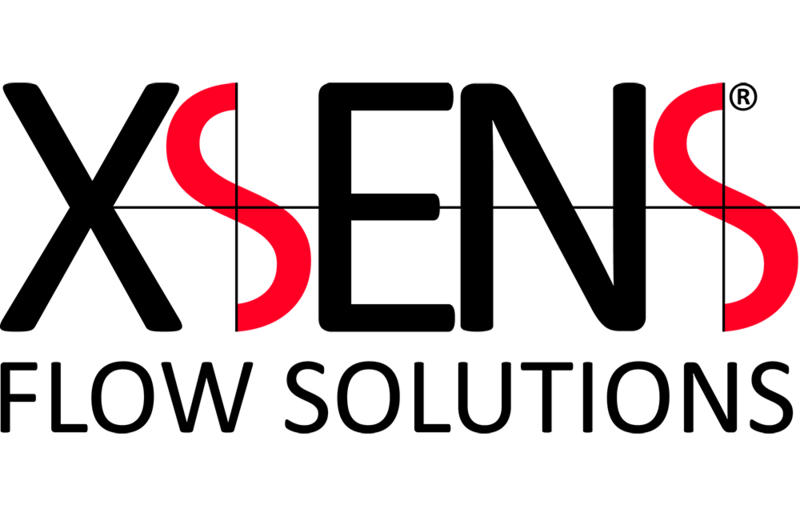 XSENS AS was established in 2013 as an independent affiliate company of Christian Michelsen Research AS (CMR) in Bergen, Norway. Clamp-on ultrasonic technology developed and patented by CMR, was transferred to XSENS AS for commercialization. At the end of 2016, Norwegian investment funds Investinor and Proventure, rised capital for a 2017-2019 industrialization phase. Including Norwegian Research Council funding approvals, a 2017-2019 expenditure of 4 million EURO is planned for bringing disruptive clamp-on flow meter technology to market. The aim is to provide upstream Oil & Gas industry with new functionality, cost reduction and improved reliability for flow rate and fraction measurement topside and subsea. The cost-saving clamp-on design, makes the Xsens flow measurement competitive for a wide range of applications within the oil and gas industry and beyond. Remi is the main inventor of the Xsens guided wave ultrasonic technology. Remi holds a MSc in acoustics from the University of Bergen and a BSc in Electronics from Bergen University College. Remi has more than 15 years of experience within ultrasonic measurement technology research and development at Christian Michelsen Research AS in Bergen, Norway. His experience includes transducer design for acoustic flow meters for the oil and gas industry, as well as participation and technical management of acoustic technology research programs involving several oil and technology companies. Remi has been involved with Xsens AS since the start, becoming an Xsens AS employee since 2016. Kjell Rune holds a MSc in in Physics from the University of Bergen, majoring in acoustics and industrial instrumentation. After completing his Thesis at Christian Michelsen Research AS, Kjell-Rune worked with multiphase flow measurement at FlowSys AS. Thereafter he held several technology and management positions within Hydro, StatoilHydro and Aker Solutions within subsea and downhole disciplines, before he joined AGR Enhanced Drilling in 2013. In AGR he held the position as VP Product Development and Technical Support, Senior Control System Manager and Project Director, heading the global responsibility for development, installation and operation of Enhanced Drilling Control Systems. Kjell-Rune was employed by Xsens AS in 2017. Magne has almost 30 years of experience within industrial measurement technology after completing his BSc within Automation Technology in 1988. After various operations, project, and sales management positions, including Bailey (ABB) and Fagerberg (Krohne), he established Tracerco Norge AS and was heading Tracerco reservoir, process diagnostics and instrumentation activities in Norway and North Europe thereafter. After joining Christian Michelsen Reserach AS in 2010, as the CMR Instrumentation Technology Director, Magne was in 2013 given the responsibility to bring the patented CMR ultrasonic guided wave technology to market through the establishment of XSENS AS. Kenneth has his main expertise within multiphase flow measurement technology both topside and subsea. His experience counts more than 30 years in the oil and gas industry, mainly within measurement technology. Kenneth holds a MSc in Petroleum Technology from the University of Stavanger. After various positions in Fluenta and Roxar, both in Norway and abroad, he became head of Roxar topside and subsea meter business globally. After Emerson acquisition of Roxar, he was entitled Deputy Managing Director of Roxar Flow Measurement. In 2014 he joined Siemens Subsea Products as CEO, and has headed both Sorbwater and Metas as CEO. Kenneth was employed by XSENS AS in 2018. Gunnar is a nestor within embedded system design for O&G instrumentation. His experience includes senior R&D and engineering positions within Autronica, Siemens, Roxar and Archer. In Roxar he had a key role within development of multiphase flow meters. Gunnar holds a MSc in micro-electronics and signal processing from NTNU (Norwegian Technical University) and a BSc in electronics from Bergen University College. 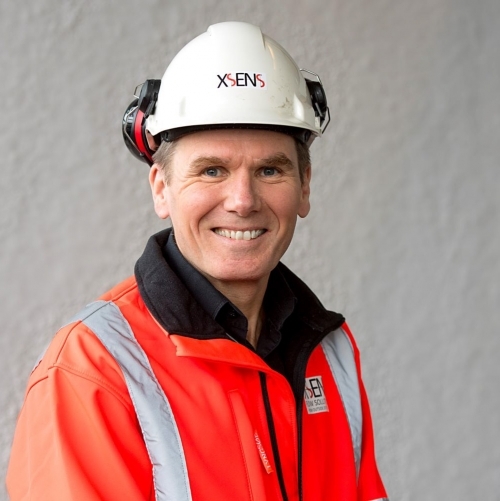 Gunnar is of February 2019 employed by XSENS AS, coming from a senior R&D engineer role in Archer, within development of downhole ultrasound visualization tools. Torbjørn has his main expertise from testing, installation and commissioning of control systems, as well as project work within automation offshore and onshore. He has more than 5 years of experience in the oil and gas industry, mainly with projects and modifications at Statoil operated Gullfaks field as employee of ABB as Automation Engineer. Torbjørn holds a BSc Degree in Automation from Western Norway University of Applied Sciences in addition to his education as a teacher. Torbjørn was employed by Xsens AS in 2018. Dr. Christopher Giertsen, Chairman of the Board holds the position as Executive Vice President – Commercialization, NORCE (Norwegian Research Centre AS). NORCE is through its investment company Tecom AS the largest Xsens shareholder. In addition to the Chairman role, Mr. Giertsen assists Xsens in matters relevant to his long experience of technology and business development management. Mr. Giertsen hold a PhD in Computer Science from the University of Bergen. and shareholder Proventure Seed II AS Managing Partner. Mr. Lysne brings entrepeneurship and international oil service experience, as well as global production technology competence to the Xsens board. Mr. Lysne holds an MSc in Mechanical Engineering and a PhD in production technology from the Norwegian University of Science and Technology (NTNU). representing shareholders Proventure Seed II AS and Investinor AS. Mr. Katmo holds an MSc from University of Mannheim and a MBA from the University of Oregon and brings in expertise relating to corporate finance and business administration. 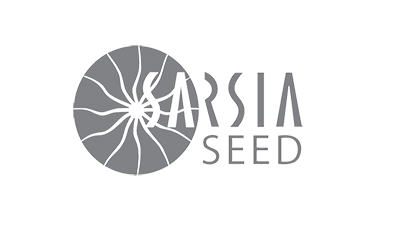 representing shareholder Sarsia Seed II AS. Mr. Berg brings experience in commercializing research based technologies and significant investor experience from early stage companies. Mr. Berg holds an B.Eng (Hons) in Mechanical Engineering, an M.Phil from the University of Cambridge and holds an MBA in strategy and management from Norwegian School of Economics (NHH). Mr. Berg is also a Certified Analyst.